We never miss a chance to share a penguin image. This one is from A History of the Birds of New Zealand, 1873. 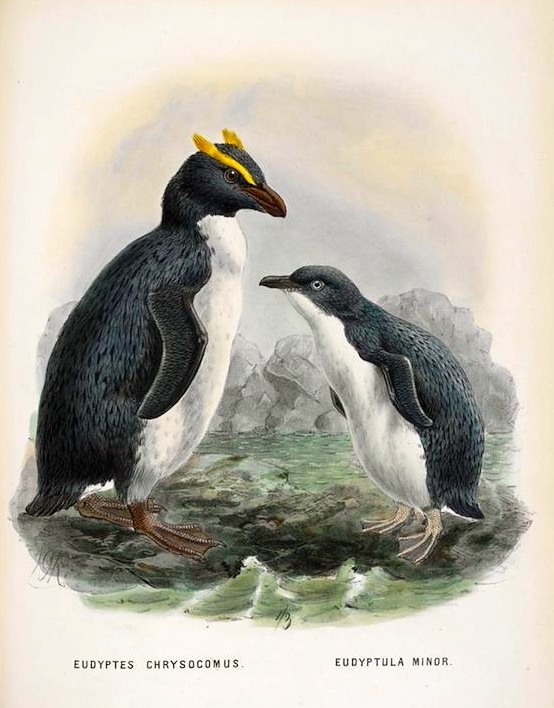 The two species in the illustration are Eudyptes chrysocome, the Southern rockhopper penguin, and Eudyptula minor, the little / blue / fairy penguin. And the 1873 volume is by Sir Walter Lawry Buller (1838-1906), with stone-plate lithographs by J. G. Keulemans. 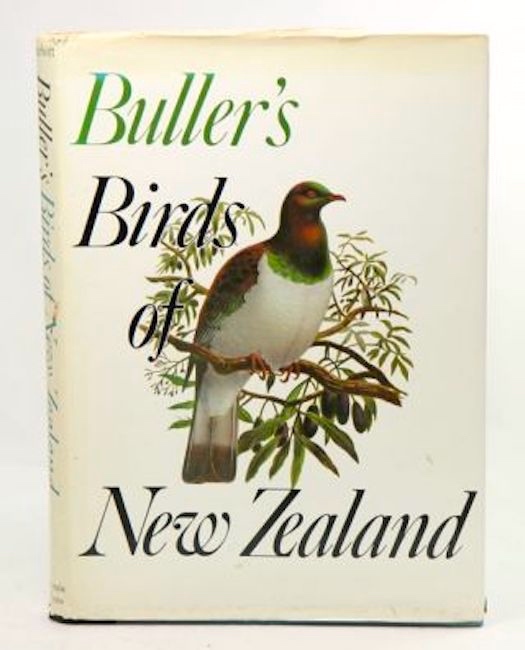 Sir Walter Lawry Buller (9 October 1838 – 19 July 1906) was a New Zealand lawyer, naturalist, and dominated in the field of New Zealand ornithology. 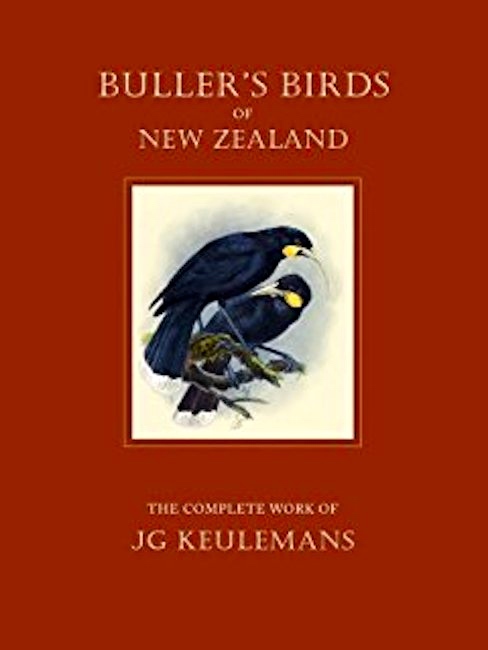 His book, A History of the Birds of New Zealand, first published in 1873, was published as an enlarged version in 1888 and became a New Zealand classic. Johannes Gerardus Keulemans (J. G. Keulemans) (8 June 1842 – 29 March 1912) was a Dutch bird illustrator. For most of his life he lived and worked in England, illustrating a large number of the best-known ornithology books of the nineteenth century. 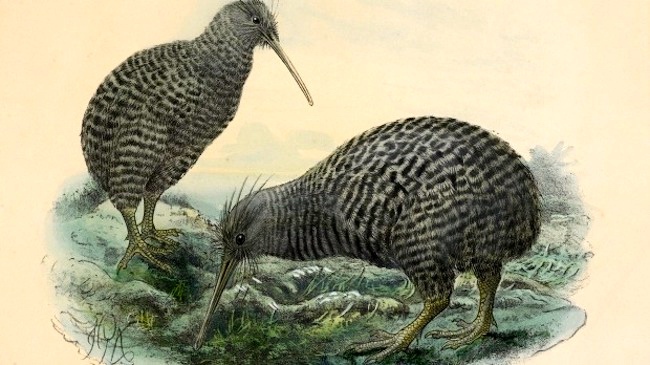 Keulemans published 4,000-5,000 illustrations, in volumes about the birds of New Zealand, Ceylon, South Africa, Europe, Australia, Madagascar, and Egypt; Cumberland, Lancashire, and Devonshire; and more. And in volumes about hornbills, thrushes, petrels, emus, ibises, and more. This entry was posted on April 25, 2017 at 6:22 pm and is filed under Art, Books, Language and animals, Penguins. You can follow any responses to this entry through the RSS 2.0 feed. You can leave a response, or trackback from your own site.